Explanation: What on Earth is that? 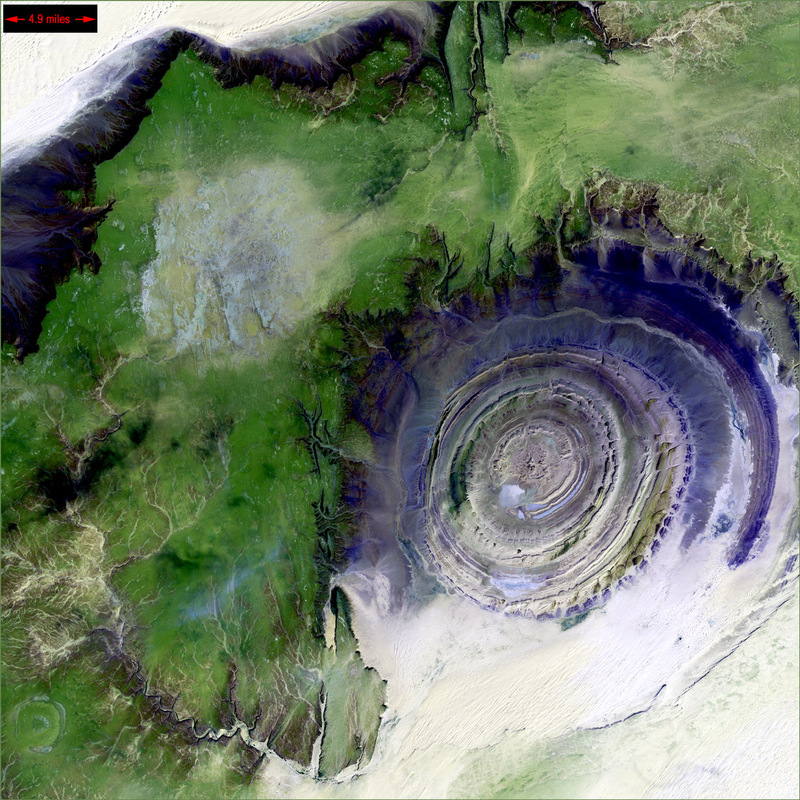 The Richat Structure in the Sahara Desert of Mauritania is easily visible from space because it is nearly 50 kilometers across. Once thought to be an impact crater, the Richat Structure's flat middle and lack of shock-altered rock indicates otherwise. The possibility that the Richat Structure was formed by a volcanic eruption also seems improbable because of the lack of a dome of igneous or volcanic rock. Rather, the layered sedimentary rock of the Richat structure is now thought by many to have been caused by uplifted rock sculpted by erosion. The above image was captured last year by the orbiting Landsat 7 satellite. 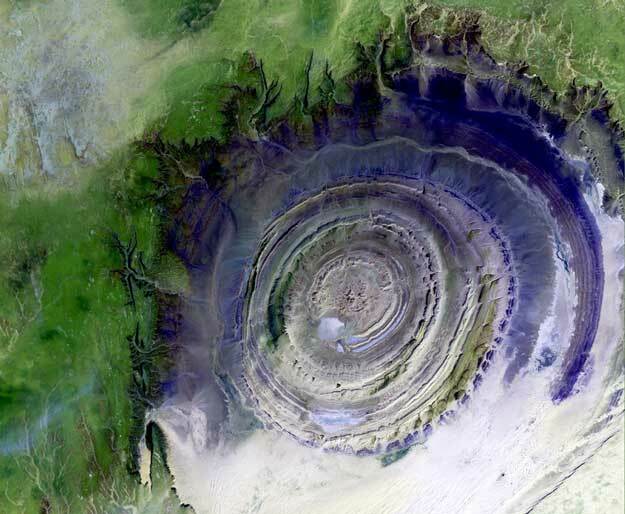 Why the Richat Structure is nearly circular remains a mystery.